VANCOUVER - Vancouver International Airport is suggesting travellers not ask their friends to drive them to the airport. Because it could start — or maintain — "a cycle of resentment." "Recruiting some poor soul to drop you off to the airport is like asking people to help you move. 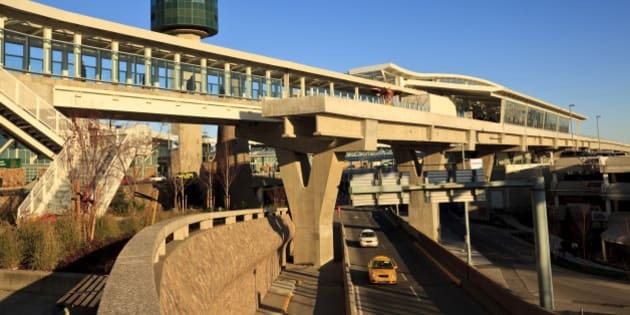 They don't want to do it, but they will for fear of needing the same help in the future," says a post on the airport's official blog, YVR Connections. The blog advises travellers to explore alternatives, such as taxis and the Canada Line, a rapid-transit link to the city. The line, which opened in 2009, takes 26 minutes to travel from downtown Vancouver's Waterfront station to the airport. Trains leave every six minutes during peak times in either direction. It's "an amazingly cost-effective and efficient way" to get to YVR, the blog says. The line's airport station is located between the international and domestic terminals. "As you exit the train, turn left for domestic flights or right for U.S. and international flights," the airport says.